6 x Mikvon films screen protector SuperClearfor. Fingerprints and dirt can be removes easily from the film screen protector Mikvon SuperClear for Huawei Y3 II (2016). Mikvon SuperClear -. Enjoy with our crystallineSuperClear Film screen protector Huawei Y3 II (2016) absolute colors fidelity and optics. Mikvon films screen protector Clear for Huawei Y3 II (2016). 4x Mikvon films screen protector Clearfor. Fingerprints and dirt can be removes easily from the film screen protector Mikvon Clear for Huawei Y3 II (2016). 6 x Mikvon films screen protector SuperClearfor. Fingerprints and dirt can be removes easily from the film screen protector Mikvon SuperClear for Huawei Y3. Mikvon SuperClear -. Enjoy with our crystallineSuperClear Film screen protector Huawei Y3 absolute colors fidelity and optics. Mikvon films screen protector Clear for Huawei Y3 II (2016). 6x Mikvon films screen protector Clearfor. Fingerprints and dirt can be removes easily from the film screen protector Mikvon Clear for Huawei Y3 II (2016). 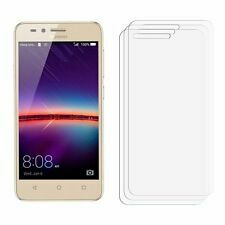 Mikvon films screen protector Clear for Huawei Y3 II (2016). 2x Mikvon films screen protector Clearfor. Fingerprints and dirt can be removes easily from the film screen protector Mikvon Clear for Huawei Y3 II (2016). 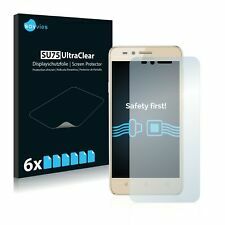 6x Savvies® SU75 Screen Protector for Huawei P9 Lite 2016. Savvies UltraClear Screen Protector for Huawei P9 Lite 2016: Crystal-Clear, easy application, excellent price quality ratio. The Savvies® SU75 UltraClear screen protectors are manufactured in Germany with the latest high-precision laser machinery. 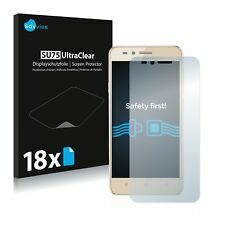 18x Savvies® SU75 Screen Protector for Huawei Y3 II. Savvies UltraClear Screen Protector for Huawei Y3 II: Crystal-Clear, easy application, excellent price quality ratio. The Savvies® SU75 UltraClear screen protectors are manufactured in Germany with the latest high-precision laser machinery. 6x Savvies® SU75 Screen Protector for Huawei Ascend G6. Savvies UltraClear Screen Protector for Huawei Ascend G6: Crystal-Clear, easy application, excellent price quality ratio. The Savvies® SU75 UltraClear screen protectors are manufactured in Germany with the latest high-precision laser machinery. 6x Savvies® SU75 Screen Protector for Huawei Y3 II. Savvies UltraClear Screen Protector for Huawei Y3 II: Crystal-Clear, easy application, excellent price quality ratio. The Savvies® SU75 UltraClear screen protectors are manufactured in Germany with the latest high-precision laser machinery. 6x Savvies® SU75 Screen Protector for Huawei Y3 (2017). Savvies UltraClear Screen Protector for Huawei Y3 (2017): Crystal-Clear, easy application, excellent price quality ratio. The Savvies® SU75 UltraClear screen protectors are manufactured in Germany with the latest high-precision laser machinery. 6x Savvies® SU75 Screen Protector for Huawei Y3 2015. Savvies UltraClear Screen Protector for Huawei Y3 2015: Crystal-Clear, easy application, excellent price quality ratio. The Savvies® SU75 UltraClear screen protectors are manufactured in Germany with the latest high-precision laser machinery. 6 x Mikvon films screen protector SuperClearfor. Fingerprints and dirt can be removes easily from the film screen protector Mikvon SuperClear for Huawei Ascend Y3. Mikvon SuperClear -. Enjoy with our crystallineSuperClear Film screen protector Huawei Ascend Y3 absolute colors fidelity and optics. Mikvon films screen protector Clear for Huawei Ascend Y3. 2x Mikvon films screen protector Clearfor. Fingerprints and dirt can be removes easily from the film screen protector Mikvon Clear for Huawei Ascend Y3. 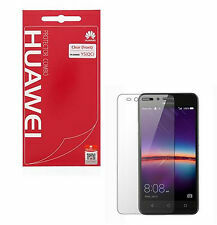 Mikvon films screen protector Clear for Huawei Ascend Y3. 4x Mikvon films screen protector Clearfor. Fingerprints and dirt can be removes easily from the film screen protector Mikvon Clear for Huawei Ascend Y3. Mikvon films screen protector Clear for Huawei Ascend Y3. 6x Mikvon films screen protector Clearfor. Fingerprints and dirt can be removes easily from the film screen protector Mikvon Clear for Huawei Ascend Y3.